Bangkok (Thailand) – November 2, 2017 (travelindex) – The World Week of Italian Cuisine reaches its second edition with the aim of promoting Italian culinary traditions and food & wine connoisseurship as a distinctive trait of Italian identity and culture. The second edition of the Week will take place from 20 to 26 November 2017 under the official slogan “The Extraordinary Italian Taste” with more than 1000 activities scheduled worldwide such as workshops and conferences, meetings with the chefs, food-and-wine tasting and dinners, commercial promotion programmes, cooking classes, cultural events, screening of food related films and much more. Last year the Embassy of Italy in Bangkok didn’t take part to the initiative due to the National mourning for the passing of His Majesty King Bhumibol, but this year we are delighted to take part and to present the 2nd Italian Cuisine Week in Thailand to the Thai and international audience through a series of events aimed at celebrating the Italian Taste. 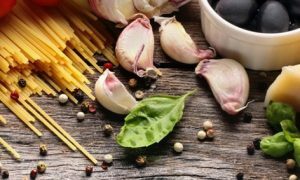 On 25 October TOPs will start a promotional campaign called “The Taste of Italy”, where Italian products will be displayed in 101 Supermarkets and Food Halls. Furthermore, TOPs will advertise the event through their brochures and on the press. The Thai grocery chain will also organize a Mediterranean tasting event with top Italian wines section on 7 November. Finally, TOP will present a show-cooking with the press, H.E. the Ambassador of Italy, Mr. Francesco Saverio Nisio, and celebrity TV Chef Fabrizio Nonis on 21 November at 12.30 pm. The 2nd Italian Cuisine Week will be officially launched on 15 November at 6pm with “The Taste of Music”, an opening charity gala dinner and a concert at Sheraton Grande Sukhumvit. This event will conduct the guests through a music and culinary journey. From 20 until 26 November, 28 top Italian Restaurants which hold the “Golden Q” label for “Ospitalità Italiana” will present a special menu (with & without Italian wine pairing) using original and high quality Italian products. These Restaurants are Beccofino, Biscotti, Enoteca, Favola, Galleria Milano, Gianni Ristorante, Il Bolognese, Il Fumo, La Bottega, La Scala, Lenzi Tuscan Kitchen, L’Opera, Medici Kitchen & Bar, Opus, Prosecco, Rossini’s, Rosso di Sera, Sensi, Sole Mio and Zanotti in Bangkok; Acqua, La Carbonara, Leo & Mas and Plum Prime Steakhouse in Phuket; La Grappa and Mamma Mia! in Hua Hin; Fabio’s in Koh Phangan; Gian’s in Pattaya. There will be two tasting events in occasion of Giuseppe Albanese’s concert to be held on 19 November and Fabio Arfinengo’s concert to be held on 26 November in the framework of the Italian Festival in Thailand at Sala Sudasiri Sobha. Starting from 20 November, the Dusit Thani College will hold an intensive Young Master Chef Italian Cuisine Course with a final gala dinner on 25 November (by invitation only). On 23 November at 9 pm a workshop open to the public (“Lo straordinario gusto Italiano”) will take place at Chulalongkorn University about the correct use of Italian language in menus and about do’s and don’ts to observe during an Italian dinner. The event “Italian Cuisine & Design” will take place at Eurocreations showroom through a series of Italian dinners with special guests (by invitation only). The first dinner will be held on 23 November with H.E. the Ambassador of Italy, Mr. Francesco Saverio Nisio, and celebrity TV Chef Fabrizio Nonis. On 24 November River City Bangkok will organize a “Piazza Italiana” where typical Italian products and drinks will be displayed before the screening of the movie “Ricette d’Amore” presented by Dante Alighieri Society. On the same occasion, at River City Bangkok Auctions, Mr. Daniele Ferri, Head Coach of Thailand Women Water Polo Team, will hold a conference about sport nutrition and Italian food impact on performance.